Plans for the 2016 Southwell Music Festival (25-29 August) are now being finalised and we are delighted to announce that the main work will be Elgar’s The Dream of Gerontius. It will be performed in the Minster on Saturday 27th August at 7.30pm. The bass soloist is David Soar. 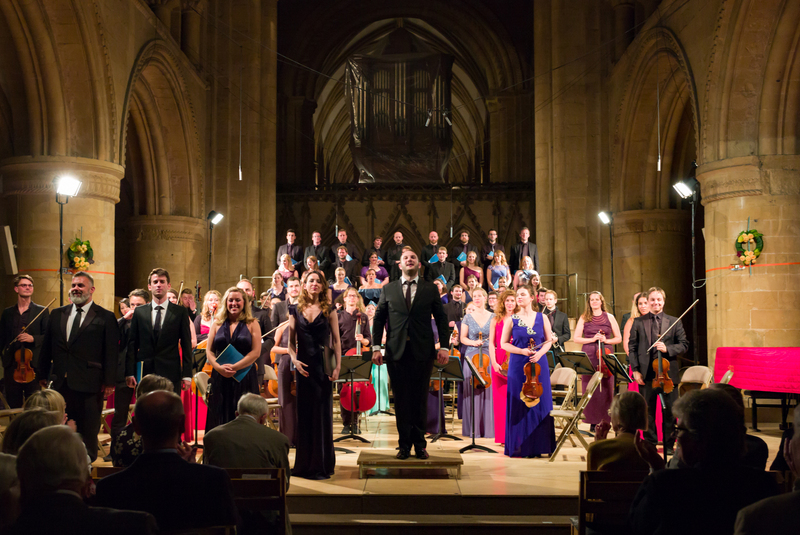 The choir and orchestra will be formed from the ensemble of more than 80 visiting professional musicians who make up the Southwell Festival Voices and Southwell Festival Sinfonia. Details of the remainder of the 2016 programme will be announced during a special free concert at the Minster on Friday 18th March at 7.30pm. 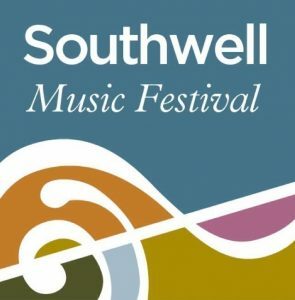 At Southwell Music Festival we are honoured to be supported by two distinguished Patrons in Harry Christophers CBE and Dame Felicity Lott. This year we are delighted that not only is Dame Felicity attending the Festival (27-31 August) but has agreed to take part in an illustrated conversation about her life and work. Dame Felicity is one of Britain’s most celebrated and best-loved sopranos – a national treasure. On Saturday 29th August at 4.30pm in Southwell Methodist Church she will be in conversation with Sunday Times music critic Hugh Canning about her life and work – a story of outstanding musical achievement across five decades on the concert platform, in the opera house and recording studio. She will reflect on working with some of the greatest accompanists, singers, orchestras and conductors of her day and on the wide range of music she has performed: the conversation will be illustrated by extracts from some of Dame Felicity’s many recordings. We are equally indebted to Hugh Canning for agreeing to take part and make this event possible. Hugh has been a keen and distinguished observer of the classical music scene for nearly 40 years and is thus well placed to lead Dame Felicity on this exploration of her career. A few tickets (£10) for this unique event are still available from the Minster Shop on 01636 812933. A special highlight of last year’s Festival was the late night candlelit sequence of words and choral music – a rare chance to experience the profound tranquillity of Southwell Minster after dark. 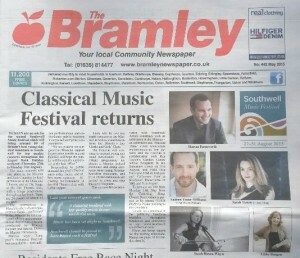 This year’s Festival offers three contrasting opportunities to enjoy superb music making in this very special atmosphere. 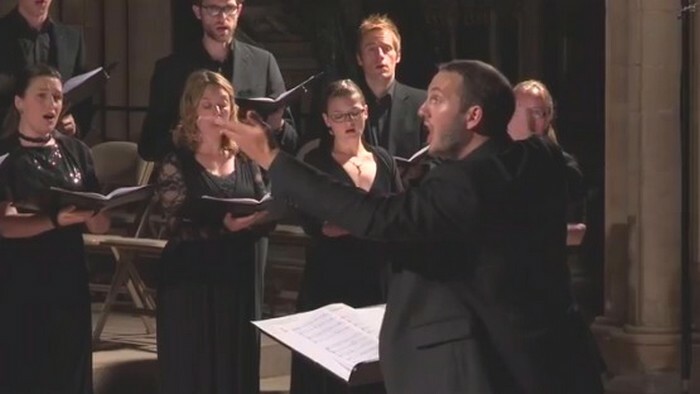 In Voices on Water on Thursday 27th August the Festival Voices chamber choir will tackle three peaks of contemporary choral repertoire under the direction of Artistic Director Marcus Farnsworth – Richard Rodney Bennett’s Sea Change, Poulenc’s Un soir de neige and Eric Whitacre’s Cloudburst. Fitting with the Elements theme at this year’s Festival the three pieces form part of a sequence of words and music which celebrates the power and beauty of water – a seascape, snowbound solitude and a breathtaking journey through the eye of a storm. The actress presenting the words is Victoria Newlyn. Though rarely performed due to their vocal demands Cloudburst can be heard at the Proms on Sunday 9th August under the direction of the composer who kindly found time to record an enthusiastic message to the Festival. The second late night concert – on Friday 28th August – presents The Seven Last Words of Our Saviour on the Cross by Joseph Haydn in the arrangement for string quartet. This astonishing piece of string quartet writing shows Haydn at his most profound and most revolutionary: a meditation on each of the seven words closing with a musical representation of the earthquake which followed the death of Jesus. The work will be performed by the Southwell Festival Chamber Soloists led by Associate Artistic Director Jamie Campbell with Biblical texts read by Owen Sparkes. The performance will be given in the round beneath the Minster’s great central tower. The third late night event in the Minster (Sunday 30th August) sees the first appearance at the Festival of the Minster Choir. The men of the choir – the Lay Clerks – will sing the ancient office of Compline. All three events begin at 10pm. Admission to Compline is free however tickets for the first two events can be purchased at the Minster Shop (01636 812933). Booking is open for the 2015 Festival! The programme for the 2015 Festival (27-31 August) was announced in March. Last month our wonderful Festival Friends – this year more than 90 – were rewarded for their generous loyalty with priority booking. Last week we opened postal booking to the public and, from 11 May, tickets can be bought by phone (01636 812933) and over the counter at the Cathedral Shop on Church Street, Southwell. In preparing this year’s Festival we were acutely aware of the disappointment that tickets went so quickly last year. As a result we are starting the 2015 Festival a day earlier – on Thursday – so as to programme more performances and increase the number of tickets available by about a third. It’s worth remembering that half the events at this year’s Festival are free and for these tickets are not required at all. The public’s response to this year’s programme has been enthusiastic to say the least: the value of tickets bought to date is more than twice that at the same time last year. As a result seats for most ticketed events in the State Chamber and The Stage at the Old Theatre Deli are available on a ‘Returns Only’ basis and concerts in the Minster are selling strongly. So if you have not already booked tickets we strongly recommend that you do so shortly. The Cathedral Shop has a waiting list for cases where no tickets are immediately available. https://www.southwellmusicfestival.com/wp-content/uploads/2015/05/booking_open.jpg 517 1200 Cheyney Kent https://www.southwellmusicfestival.com/wp-content/uploads/2016/08/southwell_music_avatar-295x300.jpg Cheyney Kent2015-05-12 13:26:322015-12-20 05:48:20Booking is open for the 2015 Festival! My thanks to all those who joined us at Southwell Minster last month for the launch of the 2015 Festival programme – and thank you for so many appreciative comments. The programme will be on the same lines as 2014 with a mix of lunchtime, evening and late night concerts. 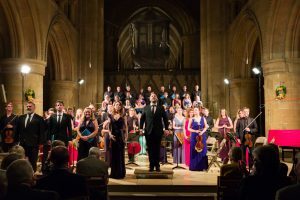 At its centre is Mendelssohn’s great oratorio Elijah which will be given on Saturday evening 29th August in the Minster: this will be a wonderful showcase for the outstanding young professional singers and instrumentalists – led by one of Britain’s leading bass-baritones Andrew Foster-Williams in the title role. The big change this year – by popular demand – is that we are starting a day earlier – on Thursday 27th August. We will then repeat that evening’s simultaneous concerts in the State Chamber and The Stage at the Old Theatre Deli the following day. In this way we are able to increase the number of tickets available by about 30%. Full details of the programme can be found here and booking information is available here. Alternatively the brochure is available from a number of locations in and around Southwell and at arts and other venues across Nottinghamshire. 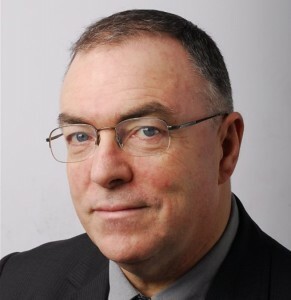 We are immensely grateful to a large number of very generous sponsors – led once more by our Festival Sponsor Mr Geoffrey Bond – whose contributions have enabled us to plan this exciting programme with confidence. We have also been encouraged by the number of people signing up as Festival Friends and are most grateful for their support. It is still not too late to join and take advantage of a number of valuable benefits. 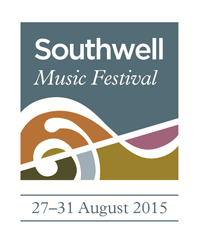 Following the success of the inaugural Southwell Music Festival in 2014 we are now planning the 2015 Festival: this will take place from Thursday 27th to Monday 31st August. Please join us at Southwell Minster on Friday 13th March at 7.30pm when we will be announcing the full programme and booking arrangements for the 2015 Festival and publishing the Festival publicity brochure. We hope you may be able to come. Admission to the launch event is free with drinks to follow. It will be a great chance to meet other supporters and relive the spirit of last year’s wonderful Festival. To help us plan the 2015 programme launch it would be very helpful to know if you will be attending. We would also welcome your feedback on our 12 Days of Christmas series of video highlights from the 2014 Festival. You can let us know here. To help us plan the launch event it would be very helpful to know if you will be attending. You can let us know here. We hope the start of your New Year was brightened by our sequence of extracts from the 2014 Festival: feedback suggests the idea has gone down well. We are now looking ahead to our 2015 London concert on Tuesday 3rd February and are delighted that a number of Festival supporters have already booked to attend. The concert takes place at the elegant home of Sir Vernon and Lady Ellis in South Kensington. The programme will include Dvořák’s ‘American’ string quartet performed by the Southwell Music Festival Chamber Soloists led by Associate Artistic Director Jamie Campbell, with a variety of songs performed by Artistic Director Marcus Farnsworth accompanied by James Baillieu. Drinks will be served from 7pm. 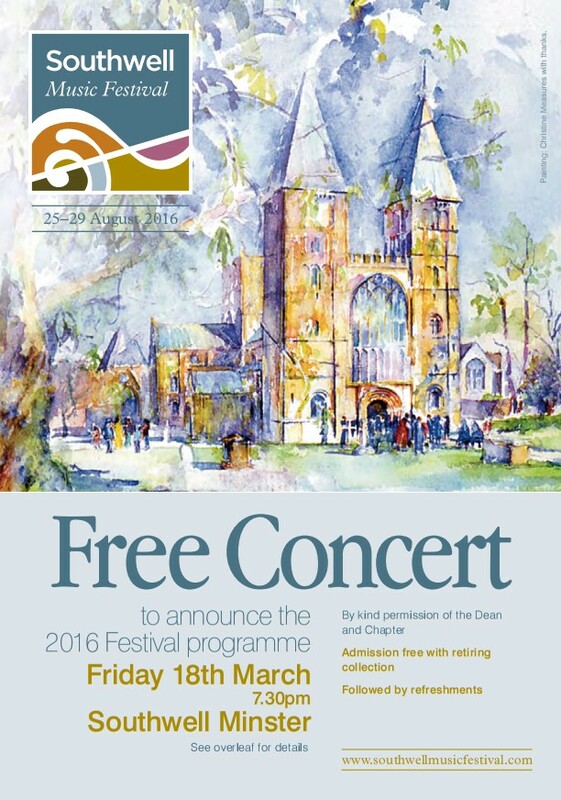 The concert starts at 7.30pm after which canapés will be served. The evening is expected to finish before 10pm. Tickets are £30 including wine and canapés. Reservations are essential and should be made to vernon@vef.org.uk. Payment is requested by cheque made payable to the Southwell Music Festival and sent to ‘QGT Concerts’, 49 Queen’s Gate Terrace, London SW7 5PN. If you know of people who would like to attend but do not use email they may obtain tickets by writing to the Southwell Music Festival, c/o Liturgy and Music Office, Minster Centre, Church Street, Southwell, Notts NG25 0HD specifying the number of tickets required and including payment. The envelope should be marked ‘London Concert’. If you are suffering withdrawal symptoms after our 12 Days of Christmas sequence, help is at hand: all twelve extracts remain accessible here. In addition there are two extracts published earlier which are well worth revisiting – from The Creation the chorus The Heavens are telling and part of the finale of the Mendelssohn Octet. Enjoy. We hope to see you in London.